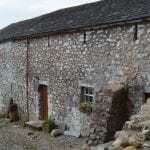 The Wild Wool Barn in the unspoilt “Wild” Ennerdale Valley is open for business. After a 2 year renovation the Wild Wool Barn is now open, offering Luxury bunk house accommodation. After a 2 year renovation the Wild Wool Barn is offering Luxury bunk house accommodation for groups of 6 (with a few more if they want to camp). Book quickly to enjoy a very peaceful, getaway from it all break in the breathtaking Western Lake District. The Wild Wool Barn offers best price guarantee, dog friendly, group accommodation at the western edge of the Lake District National Park. Overlooking Ennerdale Water, The Wild Wool Barn is within three miles of the famous NCN route, and surrounded by stunning countryside and relaxing footpaths. The bunk barn provides self catering facilities, however breakfast can be provided on arrangement so you can relax :); or if you fancy a treat there is a range of restaurants providing meals locally. The bunk barn is available for sole use, or beds in mixed dormitories or family rooms can be rented.